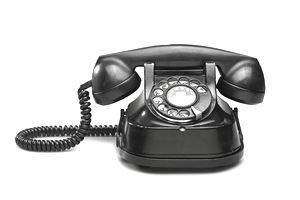 Is your business phone ringing off the hook? If the calls are business-related and helping you to generate income, it may be a sign your business is growing faster than you can handle alone. But many small businesses now publish phone information on websites and blogs and end up being inundated with many calls that are just a waste of time. Running a successful business requires using the telephone to stay in touch with your customers, clients, and other important business contacts. If you find yourself on the phone all day and unable to get to other important tasks, here are some tips for helping you to better manage your telephone time. If you were working outside the home, your employer would probably restrict or prohibit personal phone calls on company time. When you work from home, your works hours should be dedicated to work-related calls as much as possible. Being your own boss should not be seen as a license to set low work standards for yourself. You need to treat self-employment as a job with real responsibilities and set ground rules necessary for your success. Schedule Personal Calls, Not Business Calls: Use work hours for making and taking work-related calls. Make personal calls for appointments on your “lunch hour” or as early in the day as possible. Avoid Social Calls During Work Hours: Since you need to call most of your business contacts during “normal” business hours let your family and friends wait to hear from you until the weekend or after business hours. You'll be less stressed and more focused on who you are talking with than the next call you have to make. Get Organized: Never jot phone call notes on scraps of paper! Buy a phone message pad where you can record calls and keep your notes in one place. Notebook style pads with carbon copies are the best. They hold hundreds of messages in one place, and you can rip out pages and still have a carbon copy in the book. Do Not Answer Every Single Call You Get: Voicemail is not one of the seven deadly sins. There is nothing wrong with letting calls go to voicemail if you are swamped. You can pick up messages after hours when things are less hectic. Use Caller ID – A Must for Small Business Owners: If you know who is calling you, it is easier to make decisions about whether or not you have time to take the call. It is a great way to screen personal calls, telemarketing calls, and even callers you just do not want to talk to. Register Your Home, Business, and Cell Phones with the National Do Not Call Registry: Stop unwanted interruptions from telemarketers. Even if you have an unlisted number, unless you register with the Do Not Call list, phone solicitors can still legally call you. Block Unwanted Phone Calls: Use Anonymous Call Rejection services and devices to keep callers with their own blocked information from calling you. Most blocked incoming calls are from people you may not wish to speak with – like telemarketers! Block Your Own Caller ID Information: Using a caller ID block feature on business phones is legal unless you are actually soliciting or telemarketing your business. Blocking your own caller ID information can help keep your contact information off telemarketing lists. It is especially important if you make frequent calls to get quotes, collect pricing information, or make over-the-phone purchases. Can I Block My Home Based Business Number?